These AGM Battery Banks come in four popular sizes and include the Bluetooth battery monitor along with the connection cables, lugs and heat shrink. 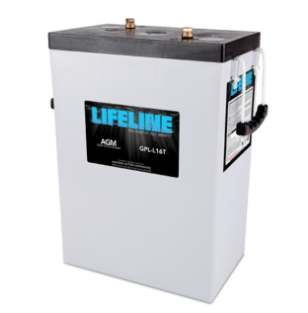 After flooded batteries, AGM batteries are the next step in technology and are great batteries for the solar panel system in your RV or Trailer. The need to check water levels, measure specific gravity or clean terminals has been eliminated. These are reliable, maintenance free batteries that have become the standard for mobile energy storage.